Renaissance Vintners is a wine trading company offering broking, consultancy and management services. We distinguish ourselves from ‘regular’ wine merchants by offering a flexible trading solution for our clients. Instead of seeking to become a significant owner and seller of our own stock, Renaissance Vintners will focus on your needs, by prioritising the sale and purchase of your wine. Renaissance Vintners seek to establish long term partnerships with our clients which will help you fulfil your wine objectives, whether they be collecting and consuming the greatest wines, selling stock, or maximising the profitability of an investment in wine. Renaissance Vintners are not stockholders. Therefore we can be extremely competitive when it comes to commission rates for the purchase and sale of wine. We can also offer completely impartial market advice – unlike companies which have a portfolio of wines they are obliged to sell. 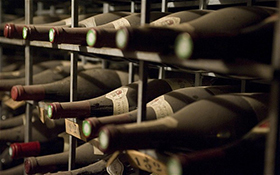 Therefore Renaissance Vintners offer our clients an unparalleled broking and consultancy service.